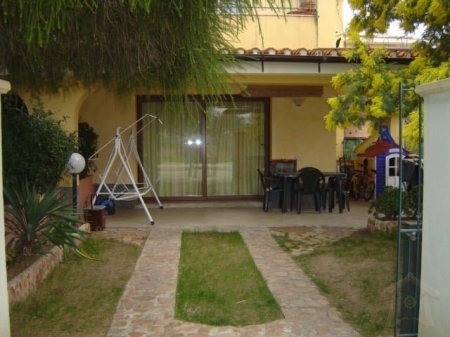 This bungalow is on the beautifully landscaped and serene grounds of Ogliastra. This wonderful vacation rental home provides that all so important, private space away from the crowds those resorts cannot. The bungalow has a King-sized bed in the Master bedroom, twins in the second bedroom. Walking down the steps to the courtyard level will lead you to the dining room, living room and the spacious kitchen. We have a cleaning room with washer dryer; kitchen is fully equipped with dishwasher, range, and microwave. Full utensils, including coffee maker, crock pot, iced tea maker, and many other items are also available. Payment Terms: Within 7 days after receiving our confirmation on your booking request you've to pay 24% of the total rent deposit. 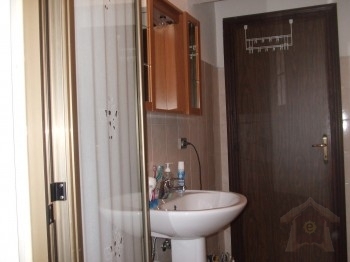 On arrival at your vacation home, the balance due has to be paid to the owner. 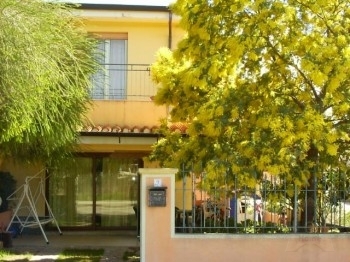 Cancellation: Cancellation 9 months to three weeks time before arriving 30% of the total rent payable. If canceled less than the above term is 50% of the total rent payable. Regarding a withdrawal of your booking in case of serious illness, we can make an agreement that only 15% of the total amount will be paid from your side. Although when demonstrable with an authentic and signed medical certificate (no copies), which can be sent to us for further verification. Useful information and facilities The beach has a host of facilities: it has a large car park, hotel, campsite, cafÃ©, refreshment point and nearby there are pubs and clubs in general which offer a particularly vibrant nightlife. 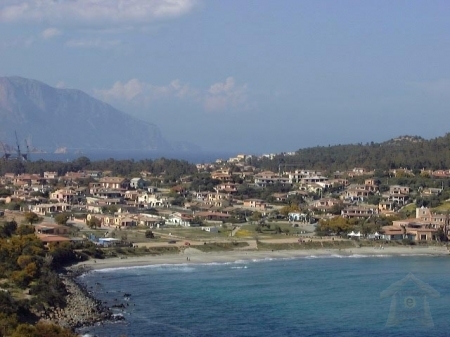 Porto Frailis has shallow waters which allow children to play safely. It is possible to rent beach umbrellas, sun loungers and pedal boats. Being windy, it is an ideal spot for surfers and is loved by scuba fishing enthusiasts and by those simply wishing to dive in its waters, perhaps with a mask and flippers to do some snorkelling in the underwater world rich in pleasant surprises Porto Frailis is placed on the headland of Bellavista, and is surrounded by a natural scenery of bays and inlets which make it completely unique and fascinating. Starting from the Rocce Rosse (Red Rocks), famous throughout the world for their particular colour of porphyry, then the splendid Cala Moresca, on the eastern side of the town, and continuing towards the Telis, the Bay of Portofrailis and San Gemiliano - now residential areas built up using some interesting architecture - it is possible to admire different colours and landscapes, all both striking and enchanting is a small harbour in the Ogliastra region. Porto Frailis - Arbatax, this is the best well known town of the Ogliastra area, thanks partly to the presence of the commercial and tourist port and thanks also to its rather intriguing name: it derives from an Arabic word meaning \"fourteenth tower\", for the Saracen tower which overlooks the seafront. Ogliastra, with the beauty of its coastline and mountainous interior, is Sardinia\'s most recently-discovered tourist destination. This corner of the island, bounded by the mountains and the sea, offers an unlimited number of unique attractions for visitors. A paradise of remarkable beauty situated on the east coast of Sardinia: here Nature offers the best of itself. The name Ogliastra is said to come from the Olivastri, olive trees, found all over this area, though others say it\'s derived from the Agugliastra (or Pedra Longa), the limestone monolith on the coastline of Baunei. Ogliastra\'s coastline contains beautiful oases of sand wedged between the sea and the surrounding cliffs, and is one of the Mediterranean\'s most charming marine landscapes. Starting from the north, we come to sandy bays (cale) reachable only by boat or on foot, such as the famous Cala Luna, Cala Sisine, Cala Mariolu and Cala GoloritzÃ©; further south we find interesting beaches such as those at Tancau, OrrÃ¬, Cea, the Marinas di Barisardo and Cardedu, Coccorrocci and the Golfo di Sarrala. The centre of this small town rises at the bottom of Cape Bellavista - territory enriched with the green-coloured Mediterranean scrub and famous for the characteristic red rocks and the masses of porphyritic granite located close to the harbour. A true explosion of colours takes place in the spring with the contrast of the rocks of the headland and reef, the beach\'s white sand and the limpid waters. A natural frame to this is the panorama of the surrounding mountains, the highest on the island. Beside the harbour rises a tower from the seventeenth-century while to the right is a prophyry quarry. On the sea, the silhouette of the famous porphyritic reef known as \"red rocks\" from Arbatax. In addition, there is a passageway dug into the rock through which access to a small beach at the feet of the rocky walcan be had. Off in the distance, on a point in the southern part of the headland and 3 km away, is the S. Gemiliano Tower. All of this together with the ample choice of excursions in the inland areas make Arbatax a particularly pleasant seaside area and place to stay. Sardiniaâ��s underwater world is just as diverse and varied as its island scenery. Every year diving fans are lured to Sardinia by its striking coastlines, translucent water, abundant sunshine, sunken Roman galleys, rugged rocks and rare shells. The question is how to get to Sardinia? Based on how much time you have available, you can either fly in or arrive to Sardinia by ferry. 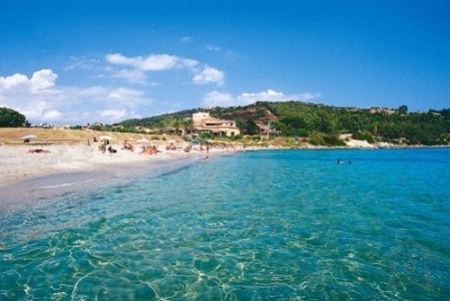 Catching a flight to Sardinia is easy in the summer. With the very modern Costa Smeralda airport, placed in the middle of Olbia, on the North-east coast of Sardina, it is so stress-free to hire a car, hop on a train or a coach or simply hire a taxi to bring you to your chosen destination. 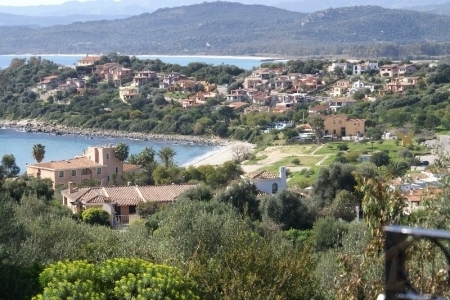 The Sardinia luxury villas on the North east coast are all in close proximity to Olbia. Easyjet connects Olbia to Berlin, Milan Malpensa, London Gatwick, Lyon, Paris Orly, Basel and additionally Geneva and the budget friendly airline company Jet2.com takes you to Olbia in Sardinia from Leeds and Edinburgh each and every Saturday during the summer. Olbia is connected by flight with all international locations in Western Europe. Simply Google Costa Smeralda airport to find your flight. Provided you have the time - there is no better way to arrive to Sardina than on a ferry-trip across the Mediterranean Sea. The white beaches and the crystal clear turquoise waters encircling Sardinia is an invigorating welcome that switches on you holiday frame of mind from the very first second. You can get to Sardinia by ferry from main land Italy or from Barcelona in Spain, or even from Bonifacio in Corsica. From mainland Italy you can take a boat to Olbia in Sardinia from Civitavecchia, Genoa, Livorno, Napoli and Piombino. You can also arrive to Sardinia from Palermo and Trapani in Sicily - but these particular ferries travel into Cagliari on the South tip of the island. The ferryboat from Barcelona in Spain arrives into Porto Torres on the North-west side of Sardinia. This ferry crossing takes a little more than twelve hours. It departs from Barcelona in the evening and arrives in Sardinia between 10 and 11 the next morning. There are three airports servicing Sardinia. Olbia in the North East for Porto Cervo and the Emerald coast. Alghero in the North West and Cagliari in the South. To find out about flights from the UK use the Who Flies search facility at the bottom of this page. Ferries operate between mainland Italy ( Naples, Genoa and Civitavecchia near Rome) and Sardinia, with main ports at Cagliari (S), Olbia (NE), Arbatrax (E) and Porto Torres (near Sassari in the NW). There is also a ferry from Marseille. Buses and trains service the main towns and some of the more popular tourist locations. 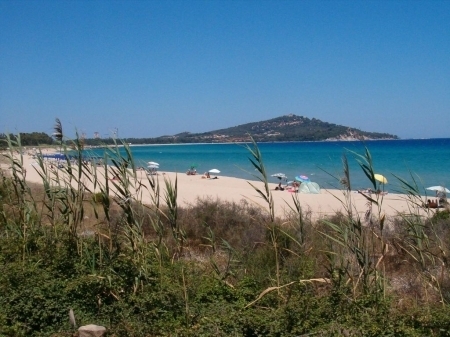 An excellent website offering information on all routes and timetable for buses and trains thoughout Sardinia, is the Sardinia Airport Guide. Its website can be found on our Links page together with other sources of information. Car hire is really essential for those visitors wishing to explore beyond their hotel or resort. The main car hire companies operate there and the roads are very good and relatively quiet outside the main towns. The island is approx 260 km (162 miles) long and 120km (75 miles wide) and therefore most locations can be reached within reasonable driving time. Sardinia has a very low criminal rate even kidnapping, which targeted wealthy individuals until the mid 1980s, has completely disappeared. Some areas of Sardinia have a longstanding reputation of family feuds apart from the fact that foreigners were almost never involved in such disputes, these belong now mostly to the past. Beware that some urban areas are unsafe. Be wary of game hunters during the September-February period check with locals, hotel employees, & the website of the Sardinian Region for legal hunting dates. Do not hike in the wilderness during these days! There are protected areas but even these are regularly raided by poachers, especially during the night. From April/May to September, fires plague Sardinia as the rest of the Mediterranean area some are spontaneous wildfires, but most are criminal. Observe the usual precautions. Sardinia is generally forbidden to start domestic fires in forests. Check with local authorities Sardinia is an autonomous region & Italian laws might be superseded by local provisions. Sardinia, with its quintessential Mediterranean beauty, is mainly loved for swimming, boating, windsurfing, hiking, climbing, and camping, with coastal areas tending to become over touristed especially in the warmest month, August. The inner life of the island away from the tourist spots takes longer to appreciate and requires you to peel away the layers of apparent Italianization. 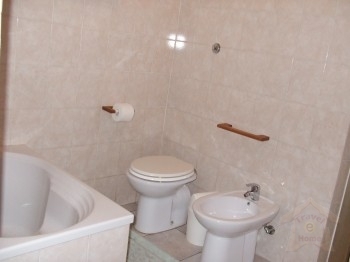 The rates are meant for two to four persons. An additional fifth person has an extra charge to pay of 45 per week.